Watch this space! Bradley International Airport wants to not just tell but show the trade what makes their “Love the Journey” experience so special. 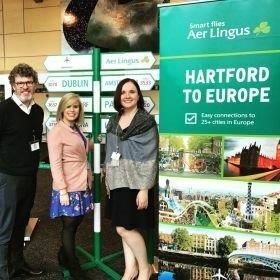 They have a number of FAM trips in place, in conjunction with Aer Lingus, coming up and will be reaching out to relevant agents very soon to fill the spots. Michelle and the Travelmedia.ie team will be advising you all very soon.